There's no need for a seal because it is actually being sucked into the side of the can and the window is not very wide so that I could get the most surface contact possible. Very cool Duane! 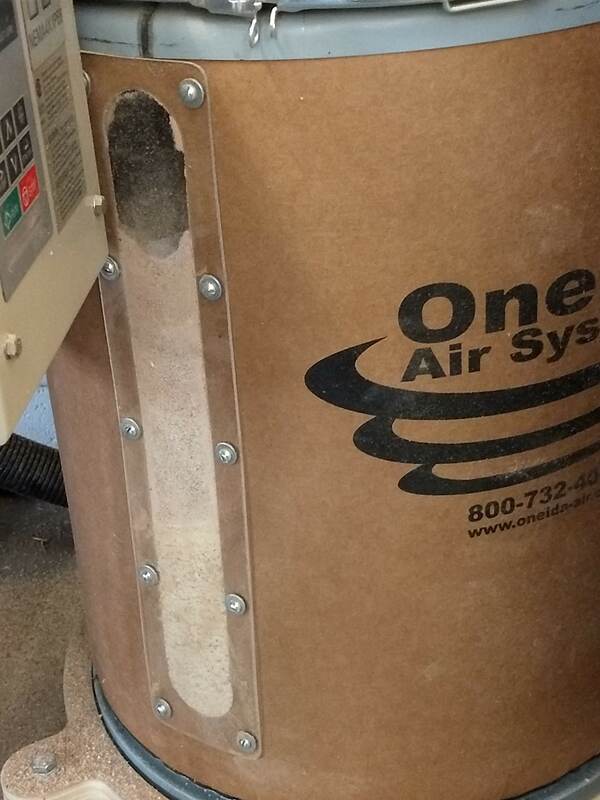 Did you put some sort of film or gasket between the plastic and the collection drum, to keep the stuff from blowing out through the gaps? Or is the pressure between the round drum being forced against the flat plastic enough to create a good seal? It's there now. Thanks for the heads-up. I just thought I'd share this hack that I found online for the first stage off of our router. Now I know exactly when enough is enough. I liked this so much, there's now a larger version from the Planer in the works!